Married since 1995, Rick & Beverly are Home Builder Catalysts for FamilyLife, certified Prepare Enrich facilitators and ACBC trained biblical mentors serving at their church, The Goldsboro First Pentecostal Holiness Church, helping couples see their situations through God's Word. Beverly is also an ordained minister. Along with their ministry partners, Scott & Sherry Jennings, they facilitate Art of Marriage and Mentor Training events across the U.S.
Rick & Beverly reside in Goldsboro, NC with their children Tyler & Macy. They enjoy spending family time in the NC mountains or at the beach. 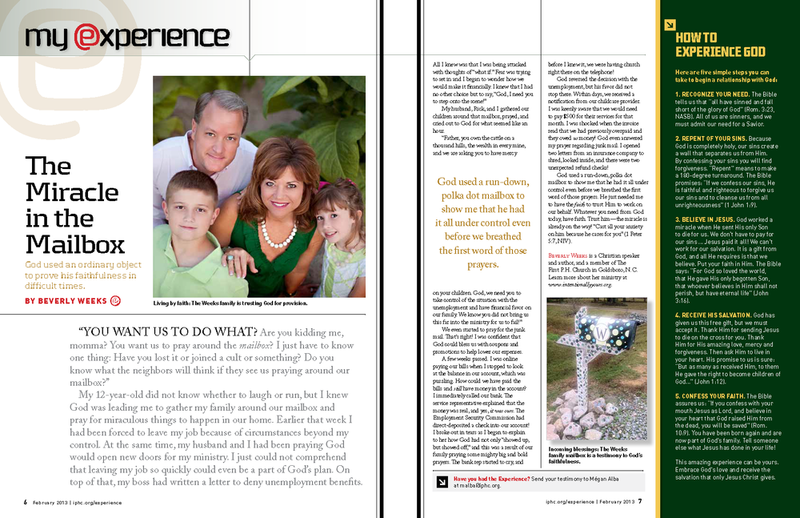 The Weeks were featured in the IPHC Experience Magazine, check it out!